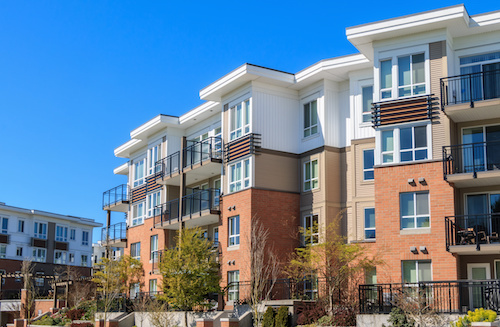 The National Association of Home Builders and NMHC states regulation imposed by government accounts for an average of 32.1 percent of multifamily construction costs. Building codes, development requirements, impact fees, inspections and other fees contribute to this highly regulated industry, which translates into higher rents and reduced affordability. Canada has invested nearly $9 billion to create more attainable housing earmarked for the middle working class. More types of housing are surfacing, such as tiny homes and tiny-home kits that can be shipped anywhere in the world; off-site assembled manufactured homes, the largest source of unsubsidized housing, priced around $70,000; popping tops; 3D printed homes created in 24 hours, costing around $5,000; repurposing old school houses and administrative buildings; shipping containers; silos; earth home kits for purchase; RVs and boats. Seniors are moving in with other seniors, larger homes are being rented out by the room with shared common areas. Roommates and couch-surfing still are popular, but we need to work on solutions through a holistic approach.